Casey went over his group for the event.. They are also ready.. has many volunteers and they are so greatly appreciated. Free 1 year memberships for our volunteers?? two memberships for the price of 1 ???? ideas to be discussed at our next meeting. 5. Poster Ads…. Bob is almost completed… couple of more to explore for Silver sponsors…. Bronze are all set. special thanks to Hayward Home Center for their continued partnership with WFNW. 6. Adding M&M rental as Silver sponsor…. thanks for all they do to make our Ice Event go!! 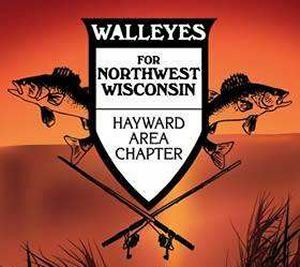 Each button purchased will entitle the purchase of 3 extended growth walleyes (7-9 inches) by WFNW to be stocked in an area DNR approved lake. 8. Ice Event is coming soon…. We need all of members to attend a meeting to be part of our day on February 16th , 2019…. 9. special thanks to the Gendrich family for donating the food for the VIP trailer. thanks, Rick See you there! !